He’s the kind of guest who’s shown up at all of our parties. We used to like him, but something’s changed: He complains about the spinach-artichoke dip, disses the Dan Brown books you have on the coffee table, and commandeers the stereo so he can put on his awful Limp Bizkit/Five For Fighting mash-up CD. It’s awkward and gives everyone pause, but no one confronts him because he’s always been a really nice guy. It’s just that something’s…different. But then he makes a sneering comment about how your wife has gone up a few waist sizes since the last time he saw her, and awkward though it is, it’s obvious: Someone has to ask him to leave. 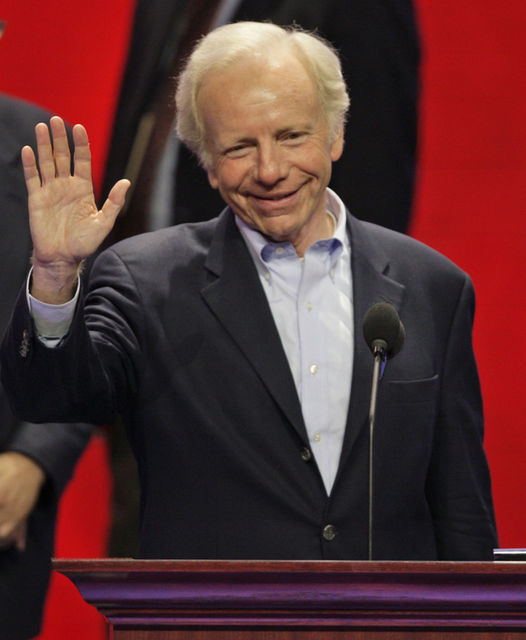 Joe Lieberman used to be a fairly nice party guest. Hell, he must have been, since everyone was all okay with him being the party’s #2 in 2000. But he’s spent the last eight years committing one faux pas after another. Everyone’s put up with it, with a little intermittent groaning and eye-rolls and excusing themselves to check on their spouse, but we’re at the point now where it’s quite frankly getting a bit embarrassing. It’s time for Joe to go. I can appreciate why the Democrats were grudgingly holding onto Joe Lieberman’s gruel-thin allegiance in 2006 (though, truth be told, they should have put more money behind Ned Lamont’s campaign, and we wouldn’t be having this discussion right now): They were lucky, with the Macaca meltdown of Virginia Senator George Allen’s campaign, Jon Tester’s narrow win in Montana, and Claire McCaskill’s riveting late-night overtaking of Senator Jim Talent in Missouri tilting the Senate to the Democrats. A watered-down erstwhile Democrat who was running as an independent but still tepidly promised to caucus with the party was as essential as every lone vote in securing what would be a razor-thin Democratic majority. The world looks a lot different in 2008, and, while it’s far too premature to do an Icky Woods end zone dance, the GOP would be better off with a bankrupt, incarcerated Michael Vick leading the team than Senator John McCain with a supporting cast that would invite character questions even if they vied for a spot on the Cincinnati Bengals. A noted Republican commented a few weeks ago that if the Republican brand were a dog food, it would be pulled from the market in the current climate. That’s an insult to the quality of American dog food. In the marketplace of 2008, at least at this point, asbestos pillows would be a better sell than the comfort the GOP is currently offering. Republicans across the country are recoiling at the election/re-election prospects of the GOP candidates vying for a seat in Congress’ upper chamber this fall. Oregon, New Hampshire, Colorado, Minnesota, and even Alaska, Virginia, and Mississippi are all in play this year. Barring a tawdry man-on-boy-on-dog meltdown among candidates across several states, the Dems are probably looking at no less than 56 Senate seats when the 111th Congress is sworn in next January. The Lieberman seat is now expendable, especially since he’s offered nothing to his former party up to this point, and will devalue it even less if he does wind up speaking at the Republican convention in Minneapolis-St. Paul in September. Given the bets on the poll results this fall, there’s virtually no risk marginalizing Senator Lieberman and absolutely none at all in stripping him of his chairmanship of the Homeland Security and Governmental Affairs Committee. Senate Majority Leader Harry Reid (D – NV) is pledging caution, but even those who shake their heads at Senator Reid’s flaccid leadership of the Democratic Senate caucus don’t believe that he’d stand for a continued position of prestige for a man like Joe Lieberman who’s long since run out of knives he can pull from his rucksack to jam into the back of his former party. It was bad enough that Joe endorsed Senator McCain for the Presidency. Agreeing to a speech at the Republican Convention is so many steps off the reservation that it can’t be ignored. We’re way past “say it ain’t so, Joe.” He’s already said it’s so, in way too many ways. Thanks to the ineptitude of the Democratic Party in 2006, it’s too late for the Ned-Enders until 2012, but we can at least emasculate the Senator from Diaspora, who has no business claiming any allegiance to the party with whom he made his political bones. They’re over you, Joe. Time to rip off the Band-Aid, no matter who pulls at it first.